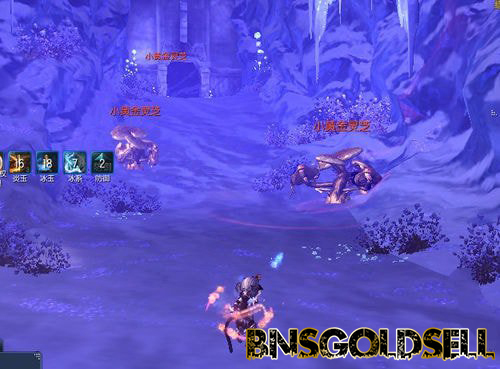 From May 11 to June 1, players level 36 and above will be able to access the Frozen Vipercap Cavern in Blade and Soul through the Cross-Server Dungeon Lobby. One day is for free for access to the dungeon. And you can buy a Frozen Vipercap Cavern Reset from the Hongmoon Store. You can collect Cavern Fungus based on how quickly you manage to navigate the dungeon after you defeat the Giant Golden Vipercap. And you can trade for the rewards as your willing. It is a good choice to group a 6-player team to enter this Frozen Vipercap Caver Dungeon since the final boss need players quickly to stack poison buff on boss as much as possible. All the team members should enter the dungeon together and your party can see a jar at the starting point. Pass through the jar and you will see a NPC called suspicious jar. After he introduces the rules of the dungeon, the flaming wall blocks the dungeon entrance and it starts. You should know that the more time you spend in this cavern, the less awards you can gt from the chest, which means the final reward depends on your speed. For players who run faster, they can kill the minions on the road side and pick up the poison pearl dropped from them to clear the road. Small golden vipercaps along the road are good at phantom grip skill, which can seize you when you run into its red skill range. Try to use resist or invincible skills to run as fast as you can. The boss in this event has a surprising 1800w+ HP, however, if you master the techniques, you can easily killed it in a short time. This boss can summon poisonous mushrooms around it randomly. And this mushroom can drop an item which can bring a poisonous buff to boss. What’s more, this buff can be stacked. Therefore, it is suggested the melee class should tank the boss and keep doing damage, while other players kill small mushrooms and stacked boss’ poisonous buff as fast as possible. Once the Giant Golden Vipercap get killed, you can collect Cavern Fungus event currency. Once you have enough mushrooms, you can trade them in the Dragon Express for your rewards! Hope this guide can be helpful for you enjoying this event! 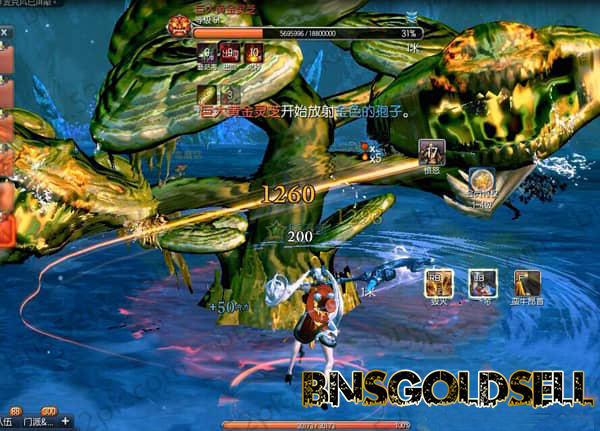 To buy Cheap Blade and Soul gold from BNSGoldSell, you can get discount by filling “may01” in the “Coupon Code” and clicking the gift icon before May 31!